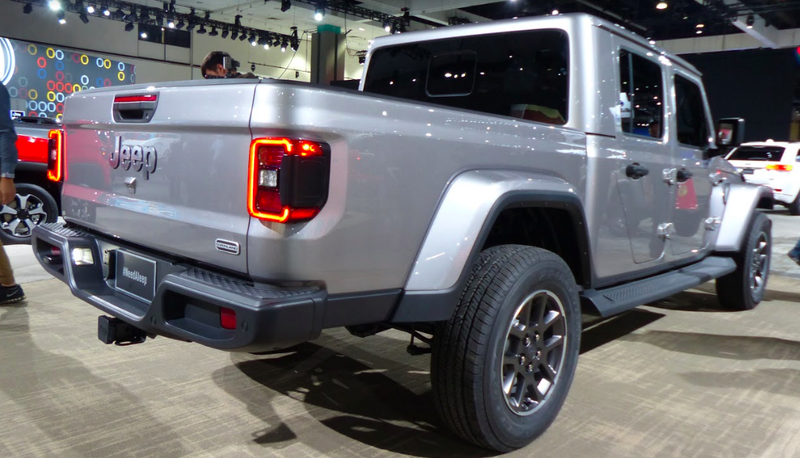 You’ve seen all the 2020 Jeep Gladiator’s sheetmetal. It’s pretty. But who cares about that; what we want to see is the hardware, and while much of it is common with the Jeep Wrangler JL, there’s plenty that isn’t. Let’s take a dive under this beast. The Dana 44 axles are essentially the same between the two vehicles, though the control arms, control arm brackets, and spring perches are clearly different, and Jeep told me via email that the JT has added reinforcements to handle trailering loads. As for the front suspension, it looks the same as that of a JL.